If you are looking for a great AV receiver to boost your home entertainment then this is the right product for you. When you look at Marantz NR1605 AV receiver the first thing that strikes you is its slim and sleek design. The size of this receiver is 17.3″ x 14.8″ x 4.1″. And it weighs only 19 pounds. Therefore, you will be able to fit it comfortably in any rack or shelf. There are some really large AV receivers in the market loaded with features but its difficult to incorporate them in your entertainment area. The NR1605 on the other hand is extremely easy to accommodate. However, the size of the receiver doesn’t imply that it has compromised on the features. This one is loaded with all the high end technical features that a great AV receiver should have. 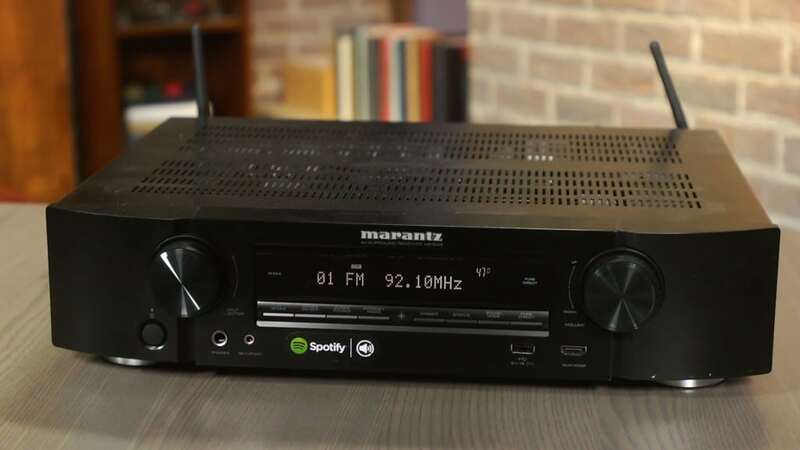 Apart from being one of the slimmest AV receivers the look and design of this Marantz product is great. It is in the classic black color with a contoured front panel. The front panel has used both aluminum and glass that provides dimensional stability, sophisticated look and full shielding. The front panel has the volume and source display and the controls for adjusting volume and other input selections. What are the technical features of NR1605? An AV receiver is as good as its technical features. There is so much competition in the market that every receiver has to be loaded with great features to compete with each other. Marantz NR1605 is surely a threat to its competitors because of its elegant design and technical features. • The wireless connectivity – the first feature of this AV receiver is the wireless connectivity that it provides. You will get in built Wi-Fi and Bluetooth wireless function. You will also get airplay and DLNA features that will increase your choices of streaming audio tracks. With these features you will be able to stream music from almost every devise and location. • Great video quality with ISFccc video calibration – you will get the highest quality of video from this AV receiver because it has ISFccc video calibration. Even if your television is not ISF certified then also you will get the benefits of this feature and enjoy amazing video quality that is fine tuned to perfection. • 7 channel amplifiers – the 7 channel amplifier of this AV receiver will give you a surround sound along with the most powerful and high quality sound system. The sound that you will receive will be the closest to the original source. • 8 HDMI input – you will get 8 HDMI input in this AV receiver and one is located in the front panel. • Use the sound system in different rooms – you could use the sound system in different rooms of your house. You will have the option of using 5 sound channels in the main room while the other two could be used in different rooms. You will also have different volume controls for different rooms. Therefore many members of the family could use the AV receiver separately. • DSP audio processing functions with Audyssey Silver built in – now get the perfect acoustic measurement of your room and audio system correction accordingly with the help of Audyssey Silver. This system will fine tune your speakers and sub woofers to provide the ultimate surround sound in your home. Along with these there are many other amazing features of Marantz NR1605 that makes it better than its competitors. What are the advantages of buying NR1605? 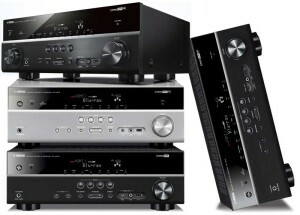 Here is a look at some of the reasons why you must buy this AV receiver. • It has a very sleek design that will enable you to fit it in the smallest of places. • This AV receiver is extremely easy to set up.You could do it in a matter in minutes with the help of onscreen texts and graphics. 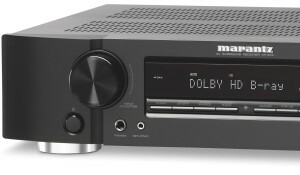 • It has DTS-HD Master Audio, Dolby Pro Logic IIz and Dolby TrueHD which will always provide the best of sound quality. • You will have the facility to configure your 7 channel amplifiers according to the setup of your home theatre. 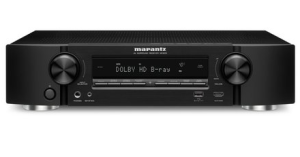 • Buy the Marantz NR1605 for its excellent network connections and online services. What is the cost of NR1605? All these amazing features packed into an elegantly designed AV receiver make NR1605. You could get this product for $699 on Amazon.Product also eligible for free shipping. Why is it better than its competitors? The NR1605 is better than its competitors because it has managed to find the right balance between perfect design and high tech qualities. It is surely one of the best AV receivers available in the market at that price. Its features, design and price makes it better than its competitor. What are the reviews of this AV receiver?